Mother's Day only comes once a year, so we must make the most of it by showing our mothers how much they mean to us. To tell you the truth, I wrote this article because I was so inspired by a video I watched about a mother's love for her blind child. Truly, her story touched and warmed my heart. It is rare to see a mother so patient and so brave. I salute this super mom! Anyway, here are 20 things we can do this Mother's Day to show our these wonderful women how much we appreciate and care for them (of course, you may also do these on her birthday—it is equally as special). These are my personal suggestions and ideas. I've already tried several of them. However, please note that you don't need to do every single item listed here; you may choose as many or as few as fits your needs. But, if you can do them all, why not, right? I'm sure your mother would appreciate all your effort very much. Greet Her With Sincerity: It's as simple as that. All you need to do is make it very sincere. Mothers appreciate even the simplest things on Earth, as long as it comes from you (sincerely and genuinely). 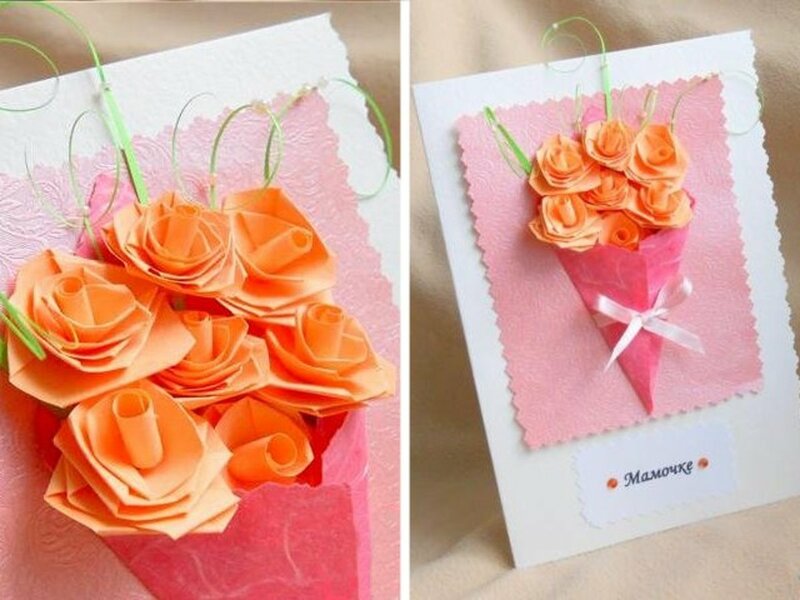 Give Her a Greeting Card: No matter how cliché this may be, giving moms a greeting card will surely make them smile. It is even better if you will be the one to craft your own from start to finish. Give Her a "Mom Report Card": Humor your mother by giving her a report card showing that she got A's in loving you, cooking the food, gardening, etc. She will definitely love the idea! 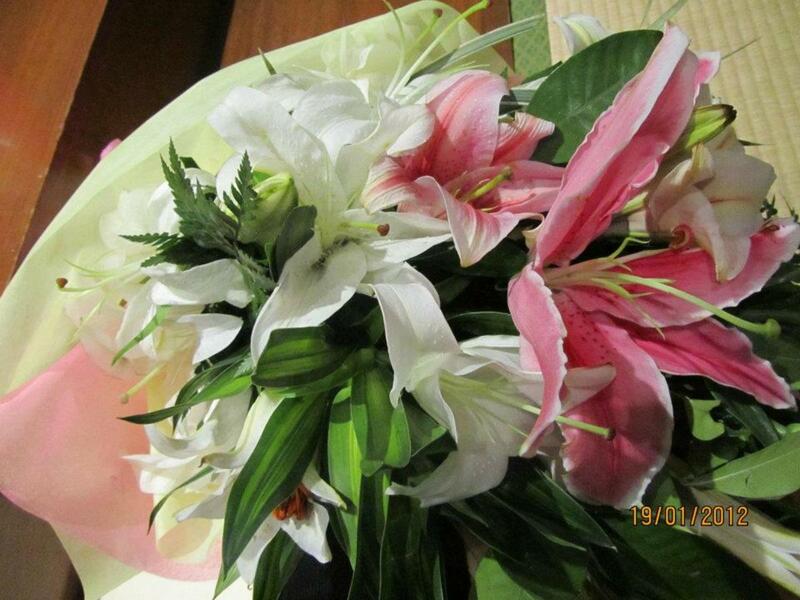 Give Her Flowers: Almost every girl appreciates flowers because the act of giving a bouquet itself is so sweet. You can show your love to your mom by giving her flowers that match her personality. Or, if you know your mom's favorite, give her that instead. Write a Song for Her: You don't need to be an expert song writer to do this, just scribble some words from your heart and create a tune for it. Your mother will surely appreciate all the effort. And you'll make her proud! Sing Her a Song: This works well with number 5, but if you weren't able to write any, try singing your mother's favorite song. You may sing "A Song for Mama" by Boyz II Men, for instance. Do the Household Chores for Her: Houses can take a lot of upkeep. So why not relieve your mom's chore load a bit by doing some chores for her? She will definitely appreciate it! Cook for Her: Does your mom usually do most of the cooking? Why not make it the other way around on this special day? Cook her a unique yet delicious meal or perhaps her favorite dish. She'll be definitely be full (of happiness) afterwards. Treat Her to a Fancy Restaurant: If you don't know how to cook, you may opt to treat her to a fancy restaurant. She would definitely like to try out something new. Oh, be sure to make some reservations for this. This will also give her a reason to get her fancy dresses out. Give Her a Lovely Cake: Be it Mother's Day or a simple birthday celebration, giving her a cake would mean a lot to her—a lovely cake for your lovely mom. You'll be able to show her your sweetness with this. It will be much better if you will be the one to bake it yourself, and no matter how sloppy it may look, she will definitely thank you for it. Write Her a Poem: A poem dedicated to her will surely make your mom feel so special. 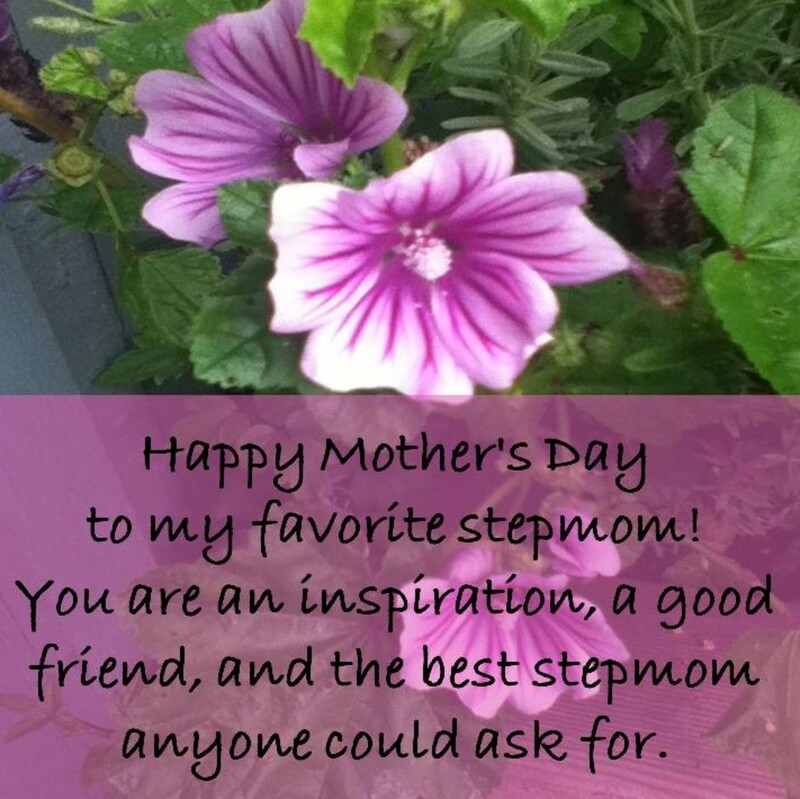 Say how much you love her through a beautiful poem, and she will be the happiest mom on earth! Acrostic poems are pretty easy. Write her a sonnet if you feel like a challenge. 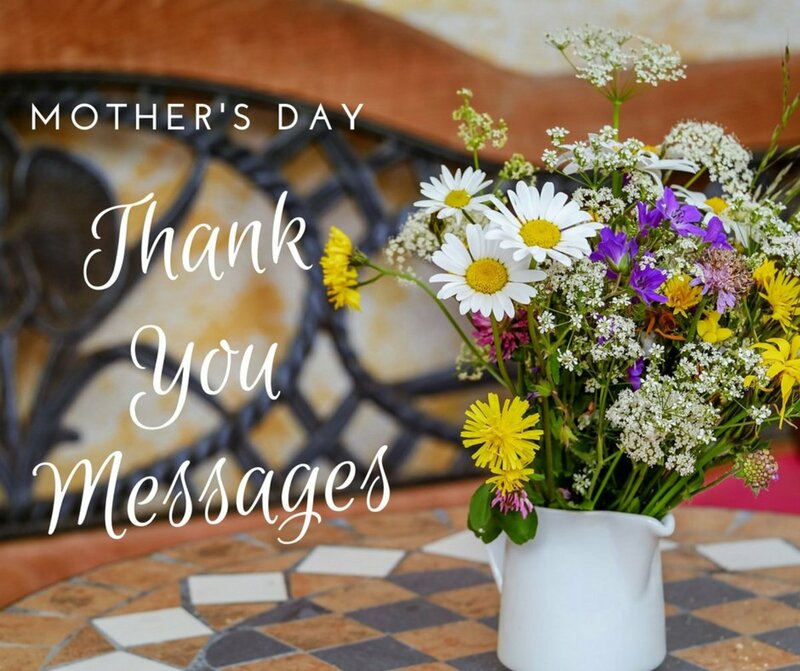 Create a Video for Her: Surprise your mom with a video! You may either dance, sing, or do anything she would appreciate. Also, include a part where you dedicate a message to her. Reminisce your childhood memory with her - ask your mom to browse some baby pictures of you together. Having you is one of the unforgettable moment your mother had, so definitely she will love to do this as she reminisce the past. Buy the Things on Her Wish List: If you have some extra cash to spend, why not buy her things on her wish list? She may be truly longing for these items, but hasn't had the opportunity to buy them for herself. Giving these as gifts will surely brighten up her day. Buy Her a Book From Her Favorite Author: Buying a book from her favorite author would mean a lot to her. It means that you know her very well and pay attention to what she likes. With this, she will definitely be happy. Publicly Tell How Much You Love Your Mother: Okay, so this may be difficult to do, but think of the things she's endured for you. Publicly telling your mom how much you love her tells her that you are proud to have her in your life. Alternatively, you can tweet or post on Facebook how much you love her and tag her. This would be the modern equivalent of saying "I love you" to her in public. Teach Her a New Dance: Let your mom enjoy a current fad! Teach her how to Dougie or to do the Gangnam Style dance, and you will make the day unforgettable for her! Also, you'll make her appreciate things we love today. It's like providing your mom with the latest updates. Spend a Day With Her: Spend a day with her, and she will treasure the moment. There's not necessarily any cash-spending required, just your presence. You might just watch movies and catch up all day, or you might spend some money and take her out on the town, treating her to whatever she likes. Either way, this would mean a LOT to her! You show her how important she is to you. A lot of us forger that the best gift to her is ourselves. Gather the Entire Family for Her: Has it been a while since the whole family was together? Make an effort to bring all your siblings together and celebrate Mother's Day! Do that, and you are going to have the happiest mom in the world. Apologize, Give Her a Warm, Tender Hug and Kiss: If you are not on very good terms with your mom, this is the time to do it! Reconcile with her, and give her a warm, tender hug and kiss. If you're able to do this, and she will likely never ever forget that day! Surprise Decorate the House: This one was a recommendation by a reader. Put some decorations up at home and a "Happy Birthday or Happy Mother's Day" banner while your mom is sleeping or away. Are you in good terms with your mom? But mom is not just a word—it’s more than that. I hope you were able to enjoy all these things I listed. Share your mother's reaction here, and I'll be happy to read them! To every mom, happy Mothers' Day, and may you enjoy this day especially made for you! To my mom, I LOVE YOU SO MUCH! Thanks for everything, and you're the best! Hey thanks for the ideas .. it’s sad how many rude people felt the need to reply unfortunately. Perhaps they should do their mothers some justice and have some manners. That's a very nice piece of information..
Nice job there.... KEEP UP THE GOOD WORK!!! @Elena, anything we do for our mom as long as we do it with love, she'll appreciate. Happy Mother's Day to your mom! These are wonderful ideas, hopefully my mom will like what i've done for her. Great to know that you found something useful from this article, peachpurple! @Lexy You are right! Thank you so much for pointing that one out! It's always good to make your mom feel like it's Mother's Day everyday. Some of these suggestions are just not ones that are purely attributable to a birthday or Mother's day. "(Apologize), Give her a warm, tender hug and kiss" - this is something you should do for your Mummy every day of her life, regardless of the occasion. Love and appreciation for your Mummy should be unconditional and not circumstantial! @Sheena Thanks for that very warm comment! May you and your mother be truly blessed! Best wishes! Thanks for the great ideas I'll follow it and im sure mom will be inspired and she will really like it.Thanks guys!! !.By the way your poem is beautiful, even im not a mom I'm inspired na im sure mom will be more than inspire than my feelings.The videos also inspire me,they has happy,sad,and sometimes mixed emotions. Thanks nonetheless maddie for visiting and taking time to read the "rubbishness". @Rimjhim Oh, that's an amazing addition to the list! Aside from the thoughtfulness, doing the collage will be a chance for the other family members to bond together. @PegCole17 Thanks! Every mom deserves some gratitude from us for all the sacrifices she has done, and will still do just for us. I know this may not be enough, but I hope it will make her feel very much loved. You've given a lot of thought to this heartfelt tribute to the ones who bring us into this world. I'm sure your mom is very proud of you. @sarifearnbd I realized that we actually do not need to spend a lot for gifts, because sometimes actions and time spent with them are far more valuable - priceless even. These are all very inexpensive Mother's Day gift ideas. Yes, I agree Enomfon! They are really great! Let's show them we really care this coming Mother's Day! Thanks peachpurple! I really appreciate the comment! Advance happy mother's day to your mom!